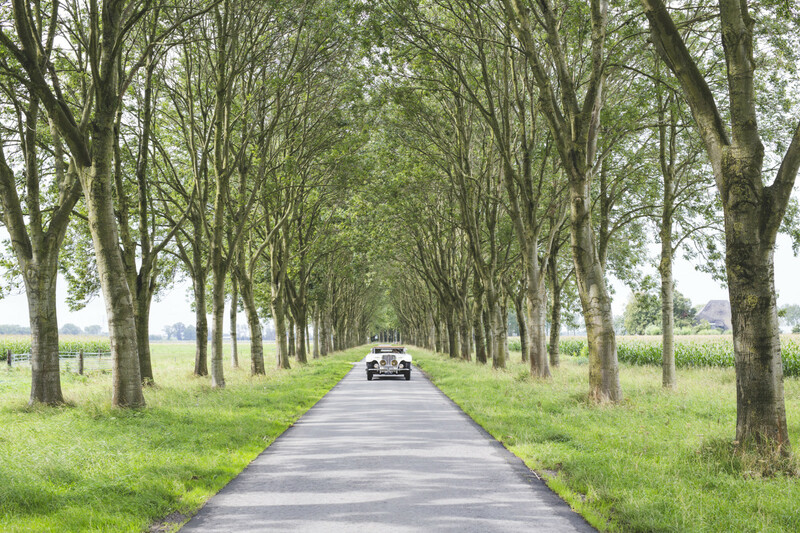 (EN) One hour north of Amsterdam is the tiny rural village of Nieuwe Niedorp. 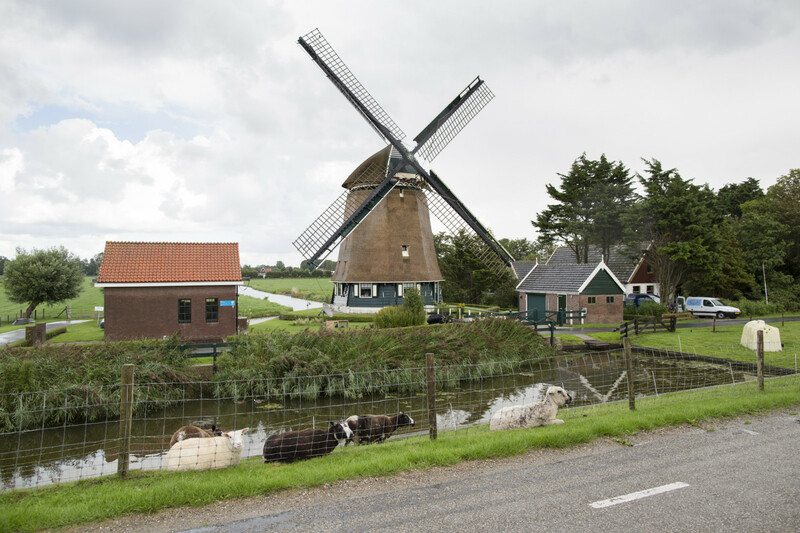 It’s surrounded by green grass, cheerful looking cows, and contently spinning windmills, but down a long country lane of crunching white gravel lives one of North Holland’s most remarkable and artistic families. (EN) Their large rural home of pale brick feels sheltered and remote behind an umbrous grove of roses and apples trees. As a former mill and farmhouse, its simple lines and stoic exterior now house the extraordinarily liberal and diverse expressions of Bart, Diana, and Romy de Vries. 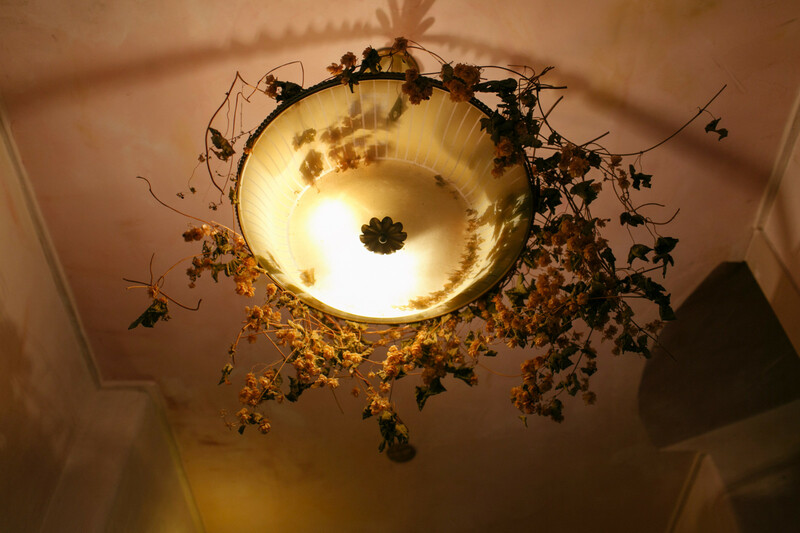 Bart and his wife Diana bought the property in the late 80s, and as two well known sculptors and artists, they remodelled the home into a kaleidoscopic complex of studios, workshops, bedrooms and art. Each room is adorned with rugs, sculptures and hand-crafted furniture, while the inner walls are curved and angled in peculiar ways. Skylights, passageways and internal windows knit the rooms together, and allow an ambient and creative atmosphere to permeate every corner. 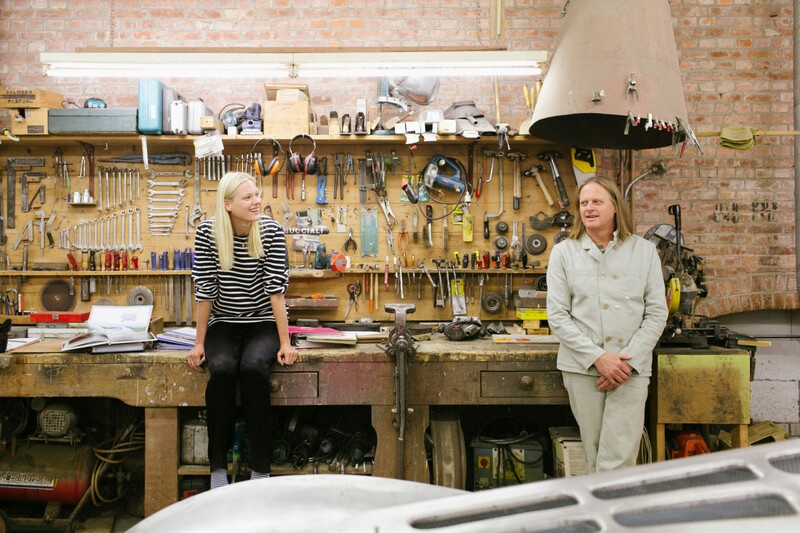 (EN) In his spacious first floor studio, Bart designs sculptures, tables, and chairs; and in his workshop downstairs, he builds priceless hand-built automobiles. 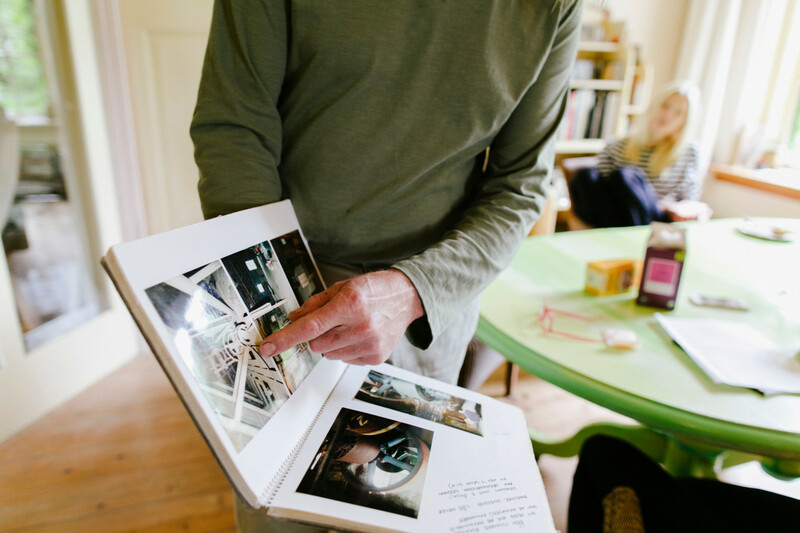 His daughter, Romy, is a model and photographer living in Amsterdam and Paris. She visits regularly, and with help from her tireless father, and boyfriend Simon, builds and designs her own range of unique furniture. 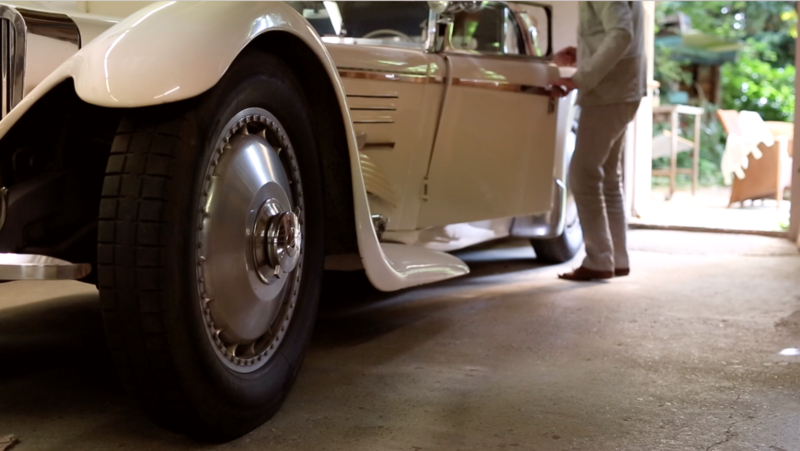 In their art deco kitchen—with traditional Frisian bread and a lazy cat asleep at the window—we sat down with this artistic team to learn more about Bart’s incredible cars, and how the seclusion and non-conformity of this most singular home helped to shape Romy’s childhood and art. (EN) What a wonderful house. How did you find this place and what is its history? 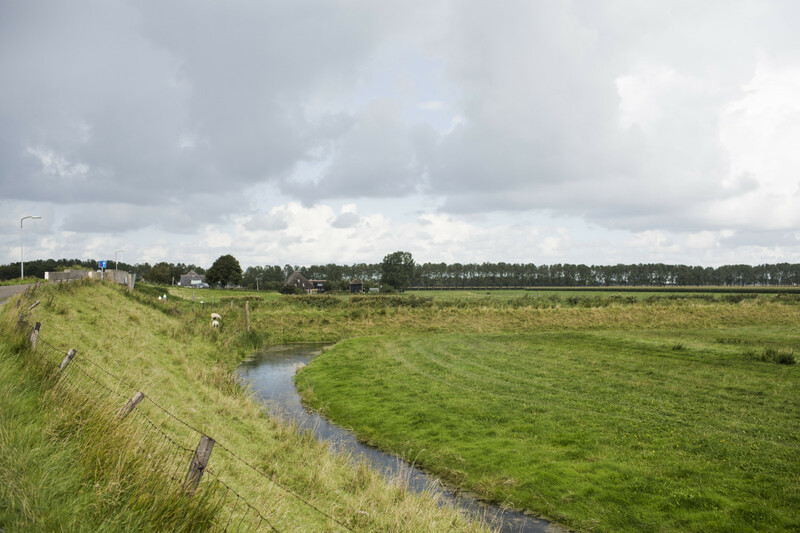 (EN) Bart: My parents and I used to live in this village and we knew everyone here. I’d known about the mill since I was a teenager, but the house remained hidden behind these fields of apple trees. Before Romy was born, Diana and I thought about moving to France, to leave the Netherlands for a while and seek new adventures abroad, but, as fate would have it, we discovered this house. It has something a little French about it, don’t you think? So we decided to buy it. (EN) And how did it look then? What changes did you make? (EN) Bart: It used to be an entirely open space. These are the original silos, which belonged to the house (pointing to the kitchen walls). They used to grind the grains here and then they made the bread. It was important to us to save as many original pieces as possible because this place is unique. Romy: There was still a lot of construction going on when I was born. We didn’t move in until I was two, but I remember it well. Bart: The renovations were difficult at first, due to all the zoning laws, but we managed to retain a lot of the original character. Now we call it our home. We couldn’t have wished for it to happen any other way. (EN) How would you describe living here? (EN) Romy: Absolutely peaceful. I feel really free here. Simon and I come out every other weekend, and when I’m here I always feel more creative. Maybe it’s the lack of distraction, or because it’s my safe place. I literally feel like I have more space for creativity to expand in. The life out here strikes a good balance between my hectic work as a model and the quiet personal work I do with Simon and my Dad on our furniture project. (EN) Do you relate to these freethinkers, and has open-mindedness affected your work? (EN) Bart: I grew up in the 70s and started out as a visual designer for the Bijenkorf windows in Amsterdam, a mall like Saks or Harrods in London. I grew up with Bauhaus: graphic design with strict lines. Everybody in the Netherlands was doing ‘straight lines’ but I didn’t want to; an organic flow wasn’t really tolerated or, one might say, ‘trendy’. I was brought up with an anti-conformist mindset and saw a freedom to create what my guts told me to. Romanticism and curved lines are present in all the work I do; it has become my signature, in my paintings, furniture and even my cars. (EN) Romy, do you think this house, and the way you grew up, had an influence on your life now? (EN) Romy: I think so. I was brought up with a lot of freedom and the possibility of creative self-expression. I spent many days upstairs in the studio imitating my Dad and his paintings. Modeling is something that came naturally for me. Everything always flows in this house, nothing is static, and that’s something I’m adapting when I develop my own characters and person too. (EN) We move through the house, down corridors lined with art, and attics filled with Romy’s photographs and memories. She lifts a rug to reveal hidden cubby-holes, and outside we wander amidst the vines and rose bushes. (EN) It’s a beautiful setting. (EN) Romy: I love it. When I have time between fashion productions I like to come here sometimes twice a week. This garden actually paved the way for my current career; I was discovered as a model during a fashion shoot here in the garden for a Dutch magazine. Since then I’ve been photographed here twice for different fashion productions. (EN) We enter Bart’s garage and workshop from the side, where two elegant cars sit before a wall of neatly organized tools. One is a sleek white cabriolet; the other still under construction. (EN) Bart, you designed much of the art and furniture here. Can you tell us how you came to build cars? 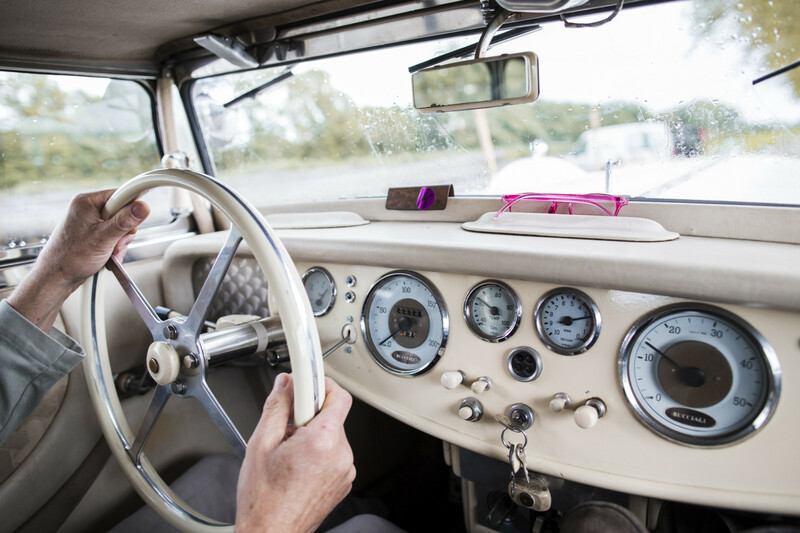 (EN) Bart: When I was 12 years old a drawing of a car found its way into my hands. 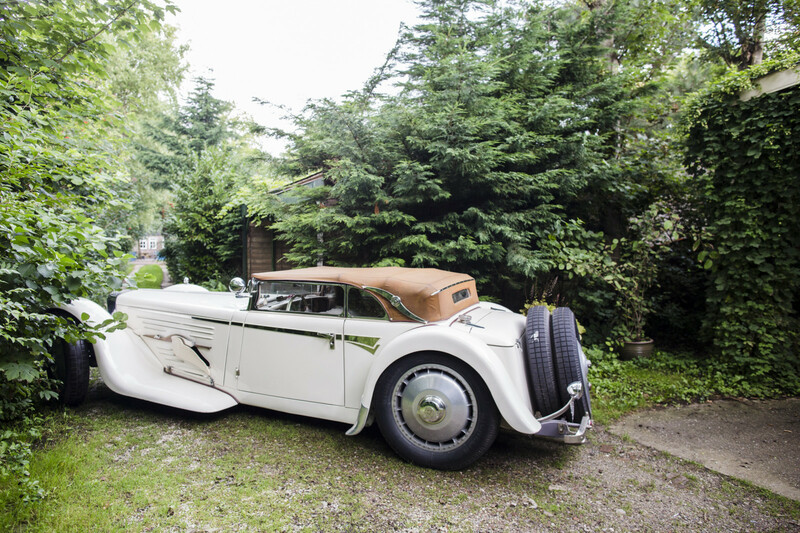 It was a beautiful, sweeping, 30s tourer, built by a family in Paris called the Buccialis. I loved the organic shape and its striking white color. I lost the picture one day, so later in life I decided to build my own. It isn’t a copy — I changed it quite a lot. (EN) It’s remarkable. How did you make it? (EN) Bart: I did a lot of research first. I went to France to find old Buccialis. There weren’t many left, but I managed to salvage some axles and suspension. I bought an old inline engine that was designed in the 40s and built the body and coachwork by hand. (Moving his hand over the bonnet) It sits very low, which accentuates the high wheels and sloping roofline. The wheels are hand moulded and unique, with custom tyres to fit. The outside lines of the car are close to the original but I’ve added a lot of personal touches. It was finished in 1986, and then we took it on road-trips. (EN) Impressive. I’m sure a car like this gets a lot of attention! (EN) Romy: Dad’s told me so many stories about him, Mum, and the car. People thought he was riding an original Bucciali and wanted him to drive for weddings. He’s exhibited the car several times at University open days, and once gave a lecture in The Hague to retired Dutch congressmen to inspire them to find a new personal passion. It even ended up on a film set in the south of France! (EN) Your other car looks quite different. Is this entirely your design? (EN) Bart: Yes. I started designing it when Romy was born, but it took another decade until I actually started building it. I bought a Jaguar Mk7 from 1955 and tested the chassis and the motor for my new project. I’d seen a Jag like this win LeMans so I thought, I must have that motor! The motor was the first piece of the puzzle and actually for me the most difficult one. In my creative approach I wasn’t used to a given starting point. But with a motor at the heart, everything has to be designed around it. So over the last few years I’ve built this almost entirely new car, inspired by French aerodynamic cars of the 30s. The frame and sculpturing are made from ash tree wood — which I took from my own garden by the way. (EN) How does the process usually begin? (EN) Romy: He starts out with sketches.This is a picture of the car (pointing to a workbook) and then, he draws over it. He readjusts and changes it each time, until it’s fully his own design. Look at the doors for example — they open in reverse. (EN) The cars aren’t your only joint project. Recently you started building furniture together. (EN) Romy: Yes, we’ve made five tables so far; the latest was for the music label that Simon works for. The original idea came when Simon and I were looking for a table for our new house. We couldn’t find any in the shape we wanted, so we decided to build one ourselves. We make them from steel and wood, all here in the garage. Dad shows us how to craft and make them with our own hands, and we can use all the tools and materials here. (EN) So you’re passing on the knowledge from one generation to the next? (EN) Bart: Yes. First of all, I like to have them around here on the weekends, and I’m glad they want to learn from me. 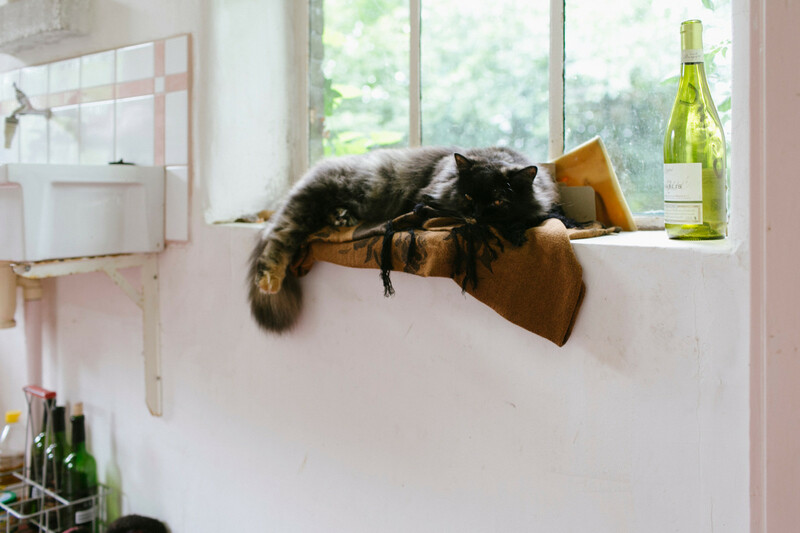 This home was always a place for Romy to explore and experiment, and it took her from drawing, modeling, and photography into crafting tables with her boyfriend. It’s the creative energy of this place — and my profound design knowledge of course (he smiles). It’s nice to combine the old and contemporary: the traditional and modern times. (EN) Do you both have a project for the future? (EN) Romy: Yes, we want to continue with creating furniture actually. Chairs could be the next thing. 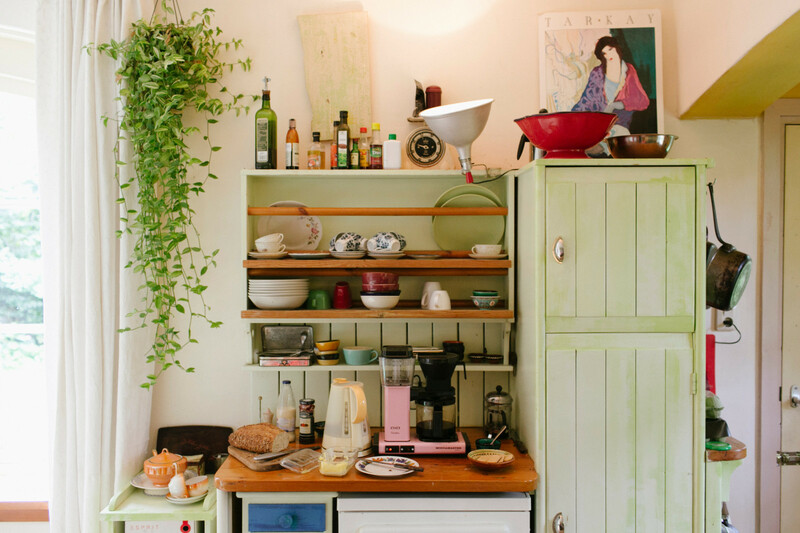 Or we evolve the design of the tables into something else, like cupboards. It could turn into a whole series of things — or a brand. We are far from finished. 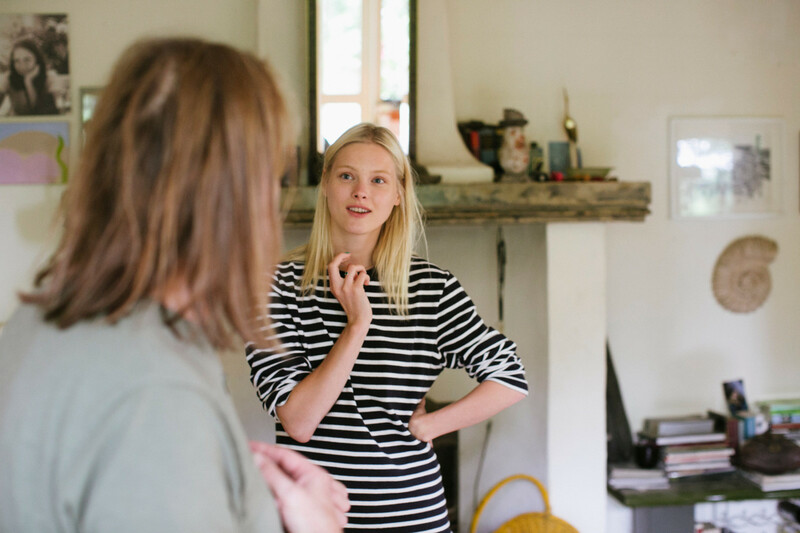 (EN) as well as Diana and Simon, for letting us into your space and sharing your story.Find more about Romy on Instagram and see her modelling work here.